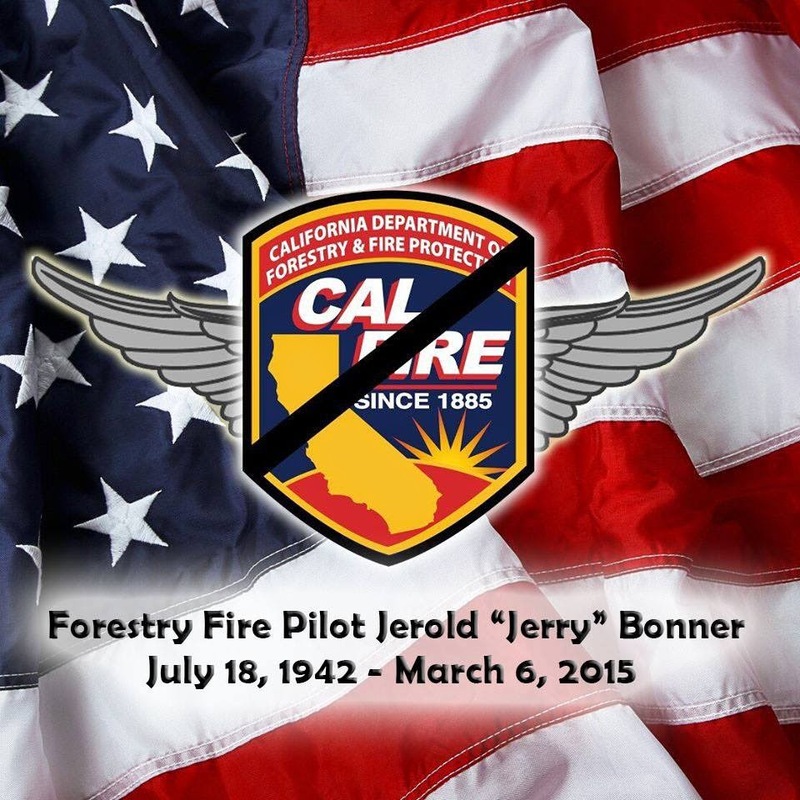 We are saddened to report the passing of CAL FIRE H-106 Pilot Jerold “Jerry” Bonner. Jerry, 72, of Helendale, was found deceased inside the barracks on Friday while on duty at our Alma Helitack Base in Santa Clara County. It has been determined that he died of heart related natural causes. Jerry served with CAL FIRE as a helicopter pilot for nearly 16 years and was a U.S. Navy veteran. In honor of Pilot Bonner, Governor Brown has ordered Capitol flags to be flown at half-staff. Please join us in sending thoughts and prayers to his family and his crew as they grieve this tragic loss.